Zayed was suffering from lung cancer which resulted in her clinical death Monday morning, added Abdel-Ghafour. 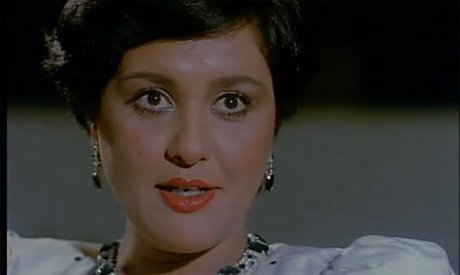 The 61-year-old was one of Egypt’s most celebrated actresses in the 1980s, with roles varying from comedy to melodrama. She collaborated with director Raafat El-Meihy and actor Mahmoud Abdel-Aziz on several occasions which resulted in a number of social comedies that remain popular among Egyptian audiences today. Topping the list is Saydati Anesati (1989) and Al-Sada Al-Regal (1987). Zayed was also a popular figure on the silver screen, starring in television series such Al-Hawi (1996), Dmoo' Fi Eyoun Wakeha (1980) and Ibn Al-Arandly (2009). Her role in 2012's hit Ramadan television series Moga Harra was widely received as one of her best in later years. Born on 5 November 1953, she studied in the faculties of arts and theatre.